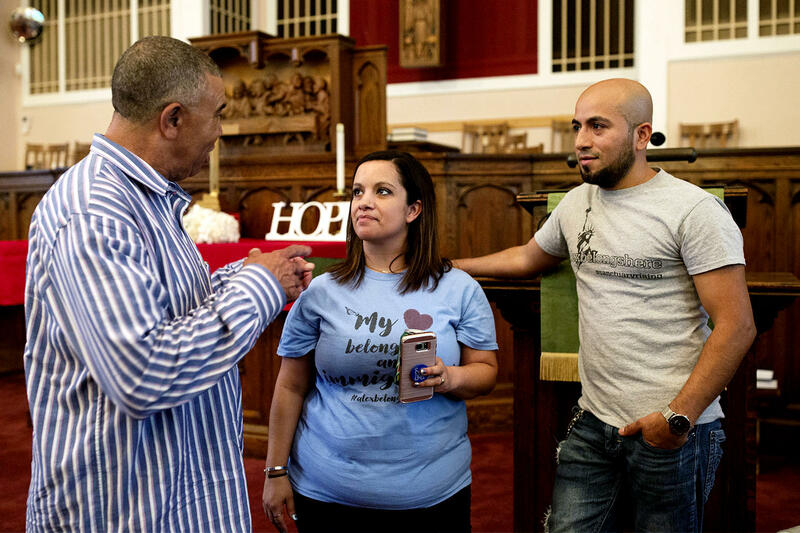 Carly and Alex Garcia meet with U.S. Rep. Lacy Clay at Christ Church in Maplewood on May 25, 2018. 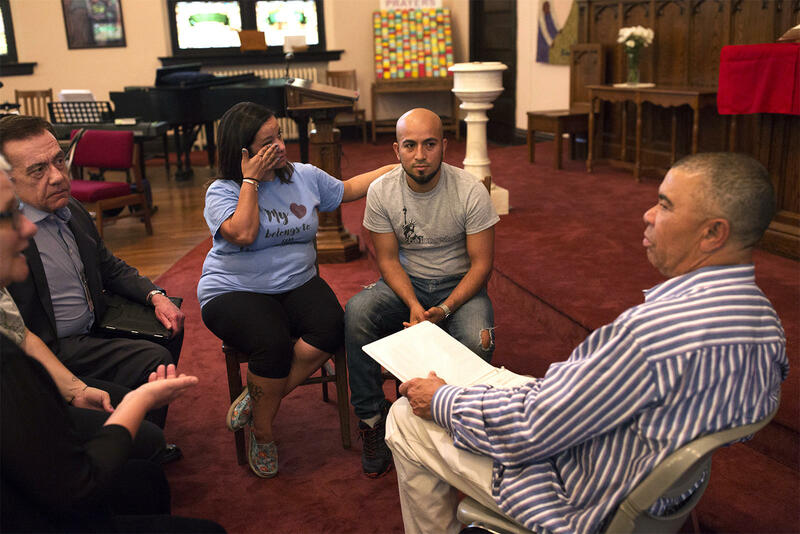 Alex Garcia has been living in sanctuary at the church since September. Garcia, who fled violence in Honduras as a teenager, has lived in Missouri for nearly 14 years. Previously, immigration agents granted him year-long stays of removal so he could live with and support his wife and their five children. But last year, after President Donald Trump took office and issued new immigration policies, Garcia’s request was denied. “Alex is a family man, is not a danger to the community, and should be reunited with his U.S. citizen wife and his U.S. citizen children,” Clay wrote in a letter addressed to the director of Immigration and Customs Enforcement’s Chicago field office and dated June 27, but released publicly this week. Carly and Alex Garcia meet with U.S. Rep. Lacy Clay at Christ Church UCC in May. Clay, D-University City, met Garcia and his family in May at Christ Church, United Church of Christ in Maplewood. Although Garcia’s wife Carly was born and raised in the United States, there is no easy path to citizenship for him. 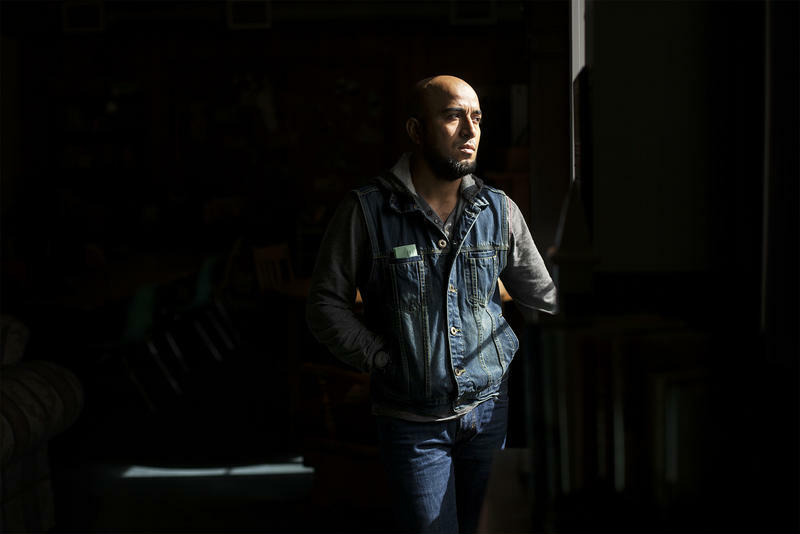 Because he was apprehended and deported the first time he tried to cross the U.S. southern border, years before making it to Missouri, he cannot easily apply for permanent residency. To do so, he’d have to first leave the country for at least 10 years. 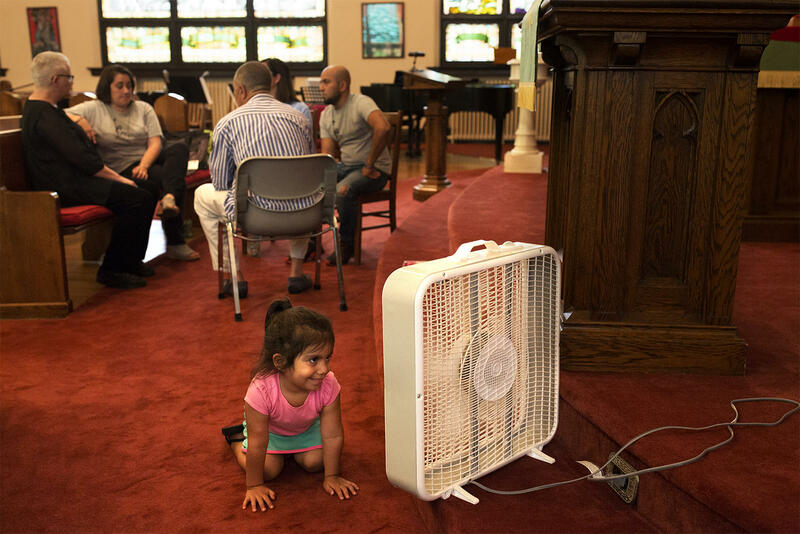 Alex and Carly's youngest child, AriannaLee, cools off while her parents speak with U.S. Rep. Lacy Clay. Carly Garcia and the couple’s children regularly make the two-and-a-half hour trip to Maplewood from their home in Poplar Bluff. She said the distance has been difficult for their kids – Ayden, who is 13 and has Asperger’s syndrome, has become more withdrawn without his father around. And 12-year-old Caleb began struggling in school this past year. Attempts Thursday afternoon to reach ICE for comment were unsuccessful.